Harnessing the full power of search engine optimization is one thing, making sure it is fully localized is another. If your local business needs traffic and you’re not sure what will get the job done, examine your current digital strategy. Are there gaps? Could it be improved? A comprehensive SEO plan carries an immeasurable amount of value, but you must work with someone who truly knows this field. There are common tactics between agencies that are genuinely effective in bringing people to your door. Here are three foolproof strategies for local businesses that are surefire ways to help increase your profits. Content can take many forms, and every one of them will contribute to traffic and engagement with both your website and your business. This can be the actual page content, monthly blogging or routine publishing, and even video content – a form of content not utilized nearly enough! For example, long pages that are too technical and info-laden often reduce engagement opportunity. The content that fills the pages of your website should be informative yet conversational, and should aim to explain to the site visitor why they should take advantage of a product or service. If you maintain a blog or another type of routine posting, make sure that you vary the content, and yes, make it keyword-based. Keywords are always going to be implemented in SEO strategies, and for good reason. They are the keys to raising your online rankings, as they are well-researched search terms that are tied to steering the prospective searcher to your place of business – if it is related to what they are searching for. If your website is relatively new, it will be too ambitious to go for the highest-ranking keywords right off the bat. You’ll want to start with less competitive ones with a lower level of difficulty. This is actually an effective technique that will always be used in any digital marketing strategy. On all fronts, drawing new visitors to your website, and in turn to your business, starts with continuously updating things. This could be your search engine optimization implementations, your content of course, and tying in current industry trends. But in addition to keeping things current, you have to keep the older components in good condition as well. Make sure that none of your links are broken, for when one thing does not work, that will be a deterrent that affects your entire site. Run a website audit periodically to prevent anything like that from happening more than once. 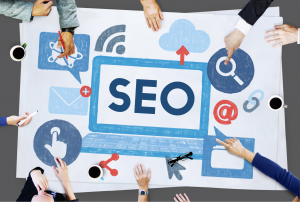 These are the top 3 foolproof tips to improving your SEO and generating more traffic. When working with an agency, a key factor is to engage one that is industry-specific. With a team that knows the marketing of your specific industry like the back of their hand, you will experience better, measurable results, and have a better experience overall. So if you are a local plumber, HVAC professional, or an electrical contractor, call Contractor 20/20 for the most comprehensive of campaigns. Contact us today at (607) 770-8933.